Covesting is Here, The Future is Here. Despite the fact that some of the cryptocurrencies are failing, some have completely lost their values, the cumulative market capitalization of cryptocurrency has been predicted to hit about $1 trillion later this year. The market cap seems to increase each year despite the setback of individual cryptocurrencies. - Jesse Powell, CEO of Kraken. Cryptocurrency has no doubt proven to be the fastest growing market bringing unique opportunities for investors and traders along with several innovations and inventions in the blockchain technology. I personally think it's a playground for experts who have been able to master the art of trading and investments in the crypto-market. But what about people who are new to this cryptocurrency and wanting to take part in the vast opportunities and potential earning presented by this revolution? Josh, a cryptocurrency enthusiast having heard about the vast potential held in trading cryptocurrency decided to take out some funds from his savings and invest into cryptocurrency - Let me try my luck he says. But there's a problem, Josh hasn't done this before, it takes a rather long time to gather the technical and analytic skills as well as the knowledge needed to trade on this new playground, I don't have that much time he says. I'll just wing it like it's forex or the stock exchange. The lengthy registration and verification process was enough to discourage Josh, nothing good comes easy he says. Unfortunately, Josh McCrypto lost all his funds winging it due to his inexperience and high volatility of cryptocurrencies. On the bright side, Josh doesn't quit so easily, he decides to try another approach. If I can't trade cryptocurrency myself, I should probably find a cryptocurrency trading expert that will trade with my money on my behalf. So Josh moves to find a crypto-expert. He checks around on Steemit, browsed on google, asked friends and voila, he finally found Mark Winters, an "expert" at cryptocurrency trading, his fees and commission is quite high but I don't mind, it's better than losing everything again. But once again, Josh lost more funds to Mark Winters. He wasn't who he said he was. He is a scammer, a liar, and a fraudster. Having lost most of his funds, Josh McCrypto was almost giving up, luckily he ran into one of my post Here. He decided to give it one last shot. He signed up at Covesting A Cryptocurrency Trading Platform. Trusted Globally offering secure bitcoin and digital asset exchange, copy-trading platform for cryptocurrencies, deposits, and withdrawals in EUR, GBP, USD and 24/7 live support. Josh realized registering on Covesting was so easy, the verification process was like slicing butter with a hot knife. Next was to deposit funds into his Covesting account for trading, since Covesting accepts deposits and withdrawals in EUR, GBP, USD, that was easy as pie. And now the most important part - Trading. With his fingers crossed, he hopes he doesn't lose the rest of his funds. Covesting is a peer-2-peer digital asset platform where successful digital asset traders meet new investors, in a transparent, safe and efficient investment environment. Investors from around the world can compare the performance of hundreds of successful cryptocurrency traders and mirror their trades automatically to their account. 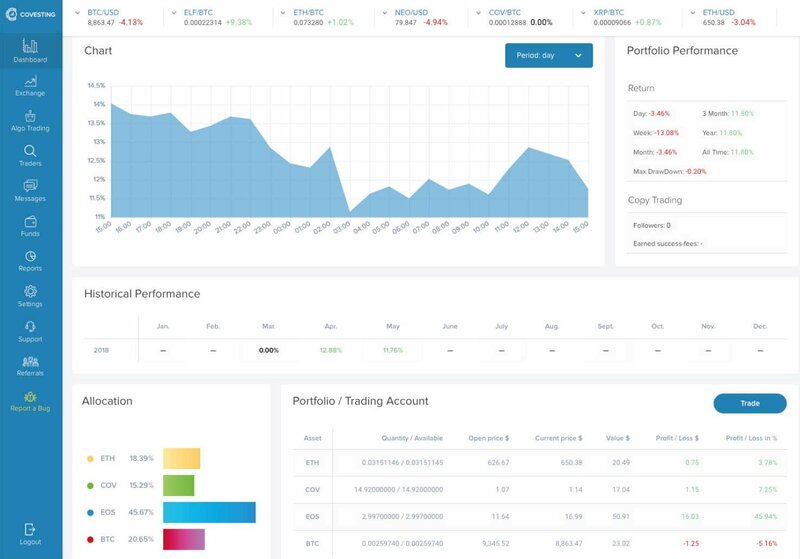 On the Covesting platform, Josh realized he doesn't need to have years of analytical and trading experience, rather he was presented with hundreds of trading models from seasoned cryptocurrency traders on Covesting with detailed data presentation of a comparison between the performance of these several models presented before him. All Josh had to do was to inspect the trading model with the best performance that suits him, either long term or short term and then synchronize (Copy-Trading) this model to his account. The best part for Josh was the fact that he could choose several models to work with simultaneously, should one model lose, the others can cover for that. This way, Josh can diversify his trading strategies and position himself to gain across multiple crypto trading models protecting him from massive losses. 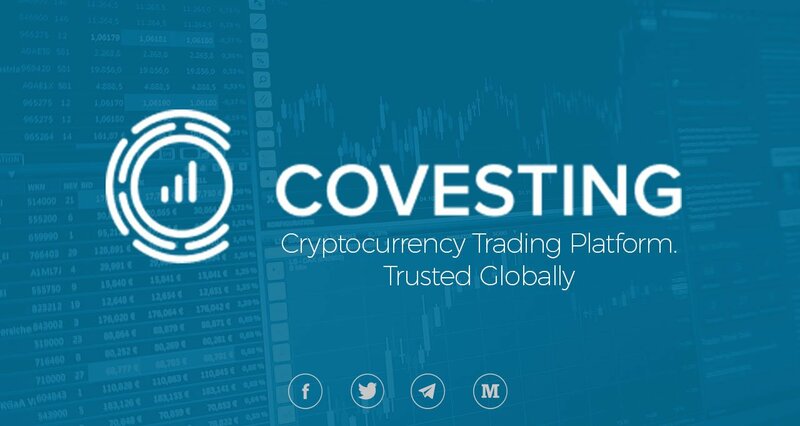 Compared to Mark Winters the "expert" cryptocurrency trader with high commission Josh met sometimes ago, Covesting takes 10% as platform commission and 18% for the traders whose models are being used and Josh is left with 72% of the profit earned from his trades. Now, that's definitely better than Mark Winters if you ask me. Josh has been trading on Covesting and making good earnings ever since, trading like a pro with top-notch tools to monitor and control his portfolio. He also earns commissions for referring his friends to Covesting. You can imagine the big smile on Josh's face right now. Are you like Josh? Then be like Josh! Have you lost valuable time, energy and money to cryptocurrency due to inexperience or fraud and scammers? Then you should be like Josh! Register now on Covesting and trade like a pro. Enjoy immense benefits for being on the platform and earn extra cash for bringing your friends along. For more information, you should check out these links.